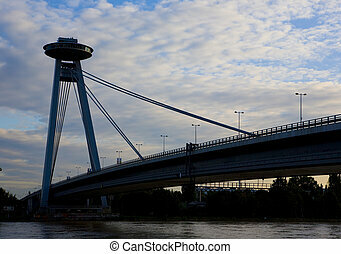 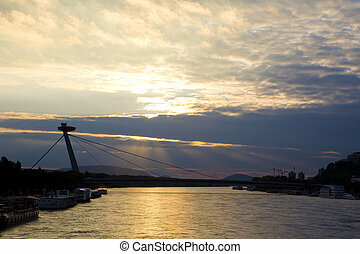 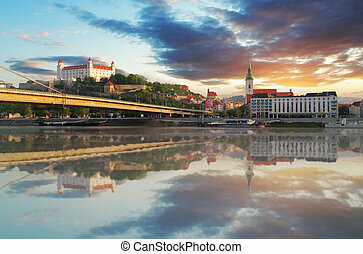 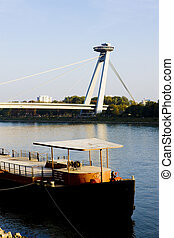 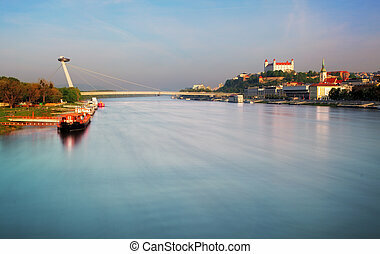 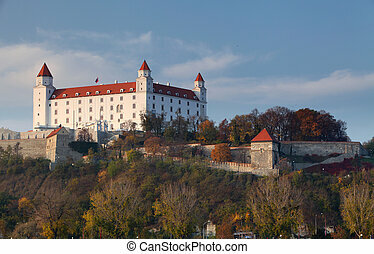 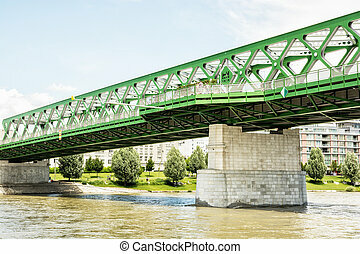 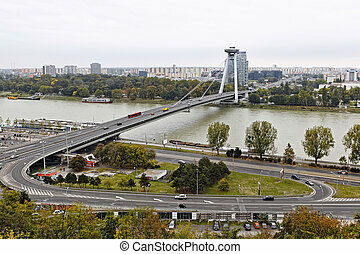 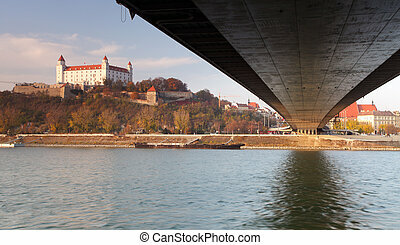 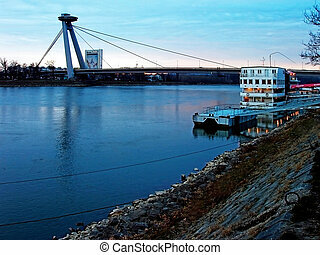 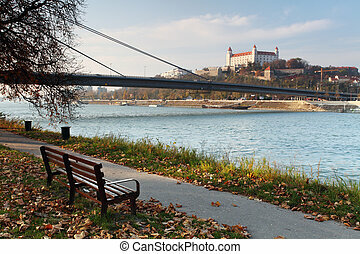 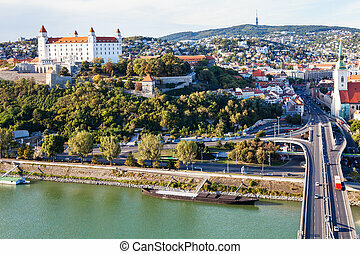 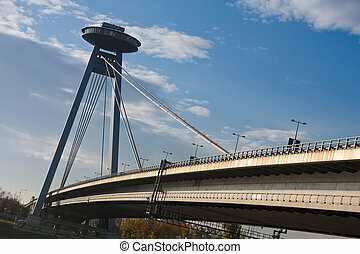 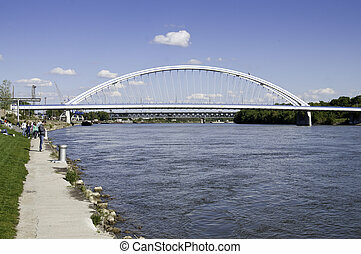 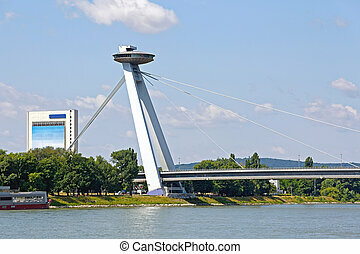 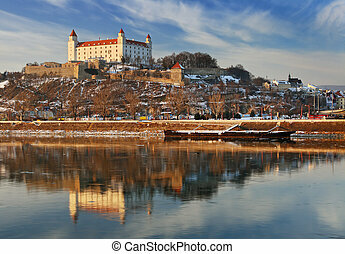 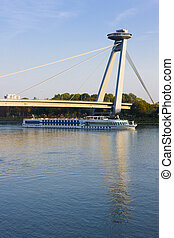 Bridge and Danube river in Bratislava, Slovak republic. 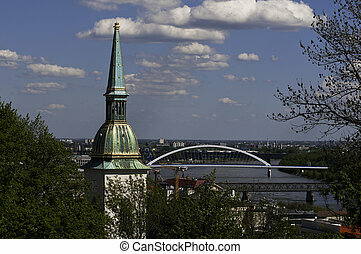 Architectural scene. 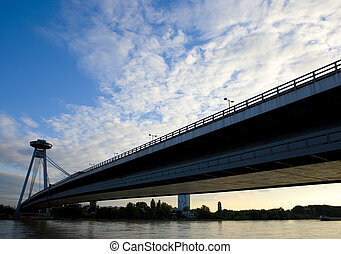 Infrastructure theme. 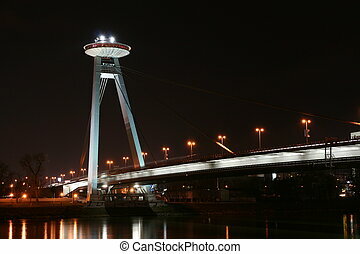 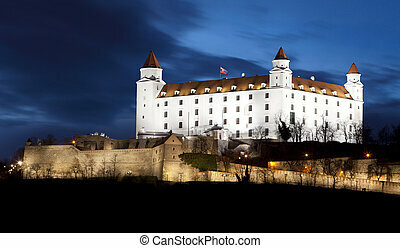 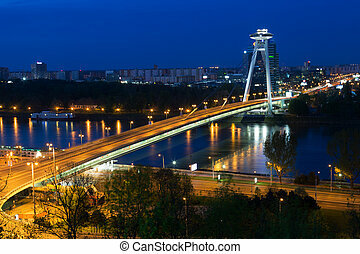 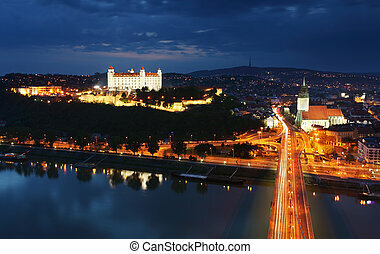 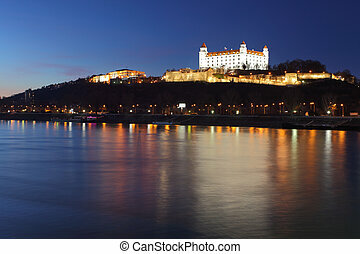 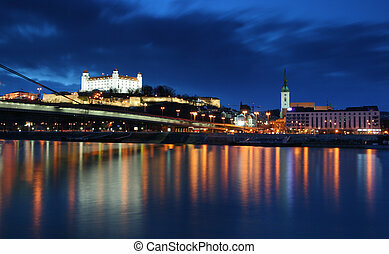 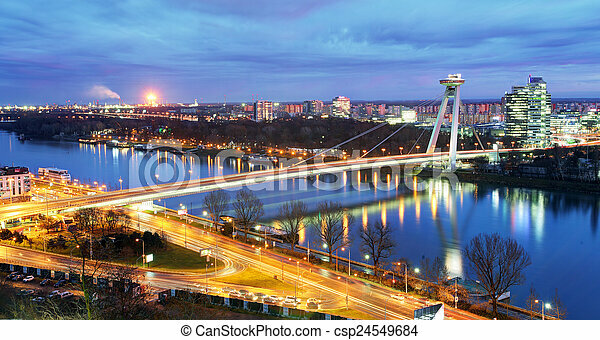 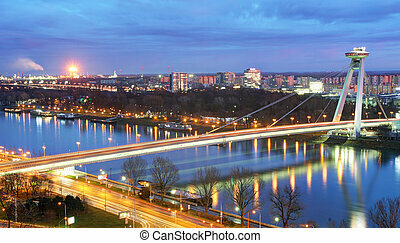 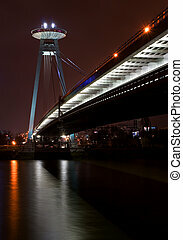 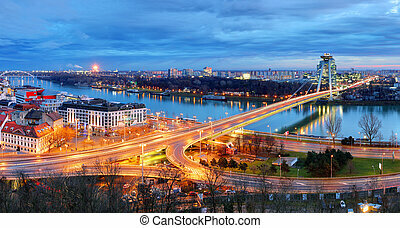 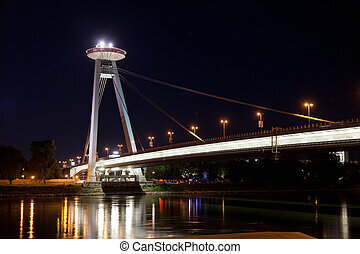 Bratislava New bridge during night.